World’s largest Automotive Expo Paris Auto Show 2016 took place on Thursday and will be welcoming the public and exhibit the visitors till 16 October 2016. The motor show claims more footfalls when compared to any other auto show. Here we provide you the highlights of the expo. Audi present the next generation Q5 with an exterior design which reflects a smaller scale Q7. Larger and lighter Q5 2017 sports all new 12.3-inch instrument cluster which replaces the analog dials. The car uses the MLB Evo platform, which surpasses the latest Q7 and A4 and will be found in the next generation A8. The design opens up the opportunity of accumulating many powertrains, but the automotive prefer to offer only one petrol and four diesel variants at first. 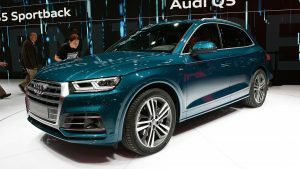 Entirely new Audi Q5 hits the European showrooms, and the pricing details are yet to know, approaching buyers need to wait until early next year. 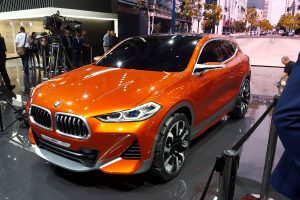 BMW unveiled its new addition in the SUV segment Concept X2. The new model design sets its slot between the X1 and X3. This third sports activity from BMW is following the larger X6 and X4. However, the concept X2 has a more practical look at it and is making its way for debut in 2018. The concept X2 design says the vehicle is a combination of enjoyment with practicality. While the design executives state the car as “combines the fast-moving body language and low-slung proportions of a coupe with the robust construction of an X model.” The kidney grill and the big front bumper with silver lower trim gives a rugged SUV look. 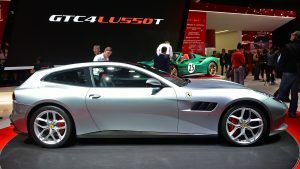 Ferrari GTC4 Lusso T, the first ever four-seat hatchback in the history of Ferrari to roll out with a V8 engine. The refurbished FF drives the power to four wheels and has two doors. The car was witnessed early ahead of the launch at the Paris Motor Show 2016. Presently the car made its debut with a massive V12 engine and offered a high performance with great practicality. Lusso T provides a comfortable feel with an energetic, tactile driving experience. The Ferrari California T engine with a 602 hp releases a torque of 760Nm. 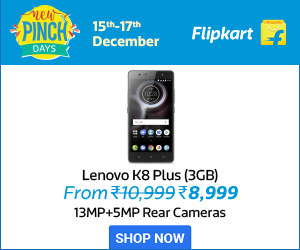 Top speed would be around 320Kmph. A European version of the updated Honda Civic is spotted at the Paris Motor show 2016. 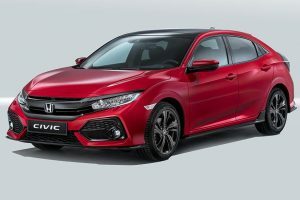 The 10th generation Honda Civic will be out for sale in the United States. The model is into production at Honda’s plant in Swindon, while all the versions of the vehicle come from the United Kingdom. North American version is released earlier, and a difference in amber colored side markers can be found in the European model. The 1.5-litres turbocharged engine delivers a horsepower of 174 units and releases 162nm torque. Available in tow gearbox variants of CVT and manual, a 6-speed vehicle drives power to front wheels. 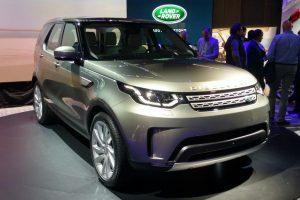 The 26-year-old Land Rover displayed the fifth generation model Discovery at the Paris motor show 2016. It’s been over a decade since the launch of Land Rover into market and Discovery gets a new platform and revised engine. The popular family SUV promises a new level comfort and a better fuel efficiency for the new Land Rover Discovery. The discovery has a huge reputation for its off-road ability and Land Rover claims the latest edition is much more capable in deprived conditions. A two-speed transfer box is a default on all versions which allows low-range for tricky off-road manoeuvres. 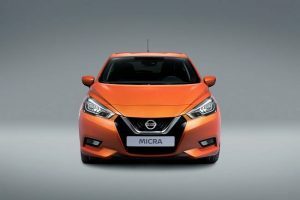 Nissan unveiled a complete redefinition of fifth generation Micra. This aggressive revolution targets Europe and Indian markets which occupy significant stake in the hatchback segment. New Nissan Micra groomed well with dramatic body length and defining character line. It is much wider, lower and longer than its elder sibling and has got up with some good interior space. Advanced new downsized turbo drivetrains and agile chassis are provided as a part of innovative safety. The vehicle improved focusing on the engine efficiency and offers a choice of 0.9-litre turbocharged motor and 1.5-liter diesel engine. Both the engines develop a horsepower of 90 units. Another 73hp 1.0-liter petrol engine will join the range soon. 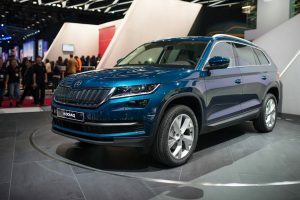 Much anticipated Skoda Kodiaq finally made its debut in the largest auto expo. The edgy and three-dimensional SUV is the first ever 7seater model from Skoda Auto. kodiaq shares underpin with Octavia and Superb which indirectly implies it is built upon MQB platform and also sports a new AWD system. On engine concern, Kodiaq features a 1.4-litre petrol engine and a 2.0-litre diesel engine to choose. The new age SUV also offers two variants in the gearbox- one with 6-speed manual gearbox and a 7-speed DSG. The automotive is being worked on the prototype for the last four years and been tested over million kilometers.